Additional fees for pickup/dropoff more than 30 minutes or 30 miles from Yountville – please inquire. While our Lincoln Navigator has seating capacity for 6 guests, 5-guest maximum is recommended for your comfort. ACCESS Napa Valley may be able to procure a second driver/vehicle for larger groups – please inquire. *Hourly rate applies to date-of-charter services only (from guest pickup to drop-off). All ancillary pre-planning concierge services are included at no additional cost. 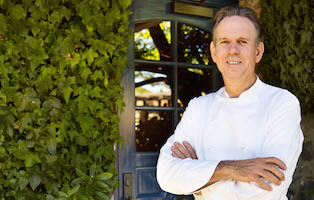 In procuring ACCESS Napa Valley’s services, our clients not only get an exceptional driver and host for their private wine tour, but they also reap the benefits of our professional concierge services for their entire Napa Valley vacation. A $200 deposit is required to secure your charter date and begin the process of planning your itinerary. When cancellation request is made 48+ hrs days prior to scheduled charter, deposit is non-refundable, but may be applied towards a rescheduled reservation within one year. Cancellations are not accepted within 48 hours of the scheduled pickup time; client will be billed for 5-hour (weekday) or 6-hour (weekend) minimum as applicable and may also be responsible for winery appointment cancellation fees. Winery availability cannot be guaranteed and wine tour itinerary proposal will not be sent to client until charter date has been secured with a credit card. 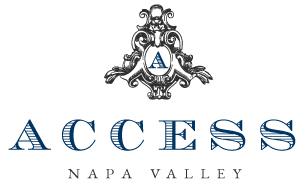 In the event of cancellation, all winery appointments made by ACCESS Napa Valley on behalf of the client will be cancelled without exception. Please review FULL TERMS prior to chartering ACCESS Napa Valley’s services. Wine tasting and/or tour fees are not included; ACCESS Napa Valley will advise client of anticipated fees as itinerary is confirmed. Lunch is not included; menus will be provide for casual take-out lunch options or make lunch reservations at a local restaurant, at your preference. A beautiful picnic lunch with our signature tabletop presentation can be arranged at a local winery. Client will be presented with local deli/takeout menus from which they will order. When your driver picks up picnic/takeout on your behalf and sets your picnic table at a local winery, any deli/takeout charges incurred by ACCESS Napa Valley will be added to your final bill.